Would you like to make sure that customers can’t browse your source code? Maybe you’d like to stop people from looking for your business secrets? PL/pgSQL_sec has been designed to prevent users from looking at your code once and for all. In PostgreSQL, a procedure’s source code (unless it has been written in C or C++) is stored as plain text in a system table. In many cases this is not a problem. However, if you are selling software and your success depends on keeping your code secret, giving the source code away is clearly not acceptable. 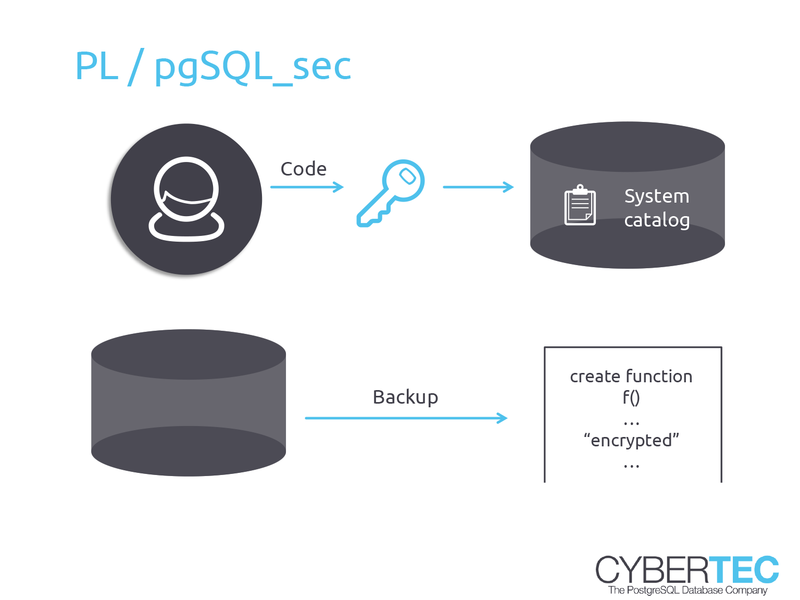 PL/pgSQL_sec can help protect your server-side procedures. Our module encrypts your procedures and stores your codes safely in a way that makes sure people cannot reveal your secrets. PL/pgSQL_sec provides more security for your software and helps protect your competitive advantage. Currently we support PostgreSQL version 9.3 or higher. Please contact our sales team to receive a copy of PL/pgSQL_sec.